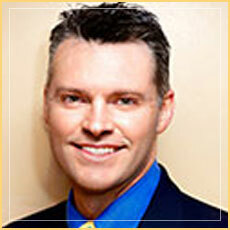 Dr. Corey Collins is a specialist in pediatric sedation and airway management. He works closely with Dr. Marcy to offer his expertise to help young patients safely and comfortably obtain dental treatment. Dr. Collins’ mission is to provide deep sedation services for children and patients with special needs at Pediatric Dental Care of Wilmington with the highest level of patient safety. The sedation is effective and efficient for the child without having to go under general anesthesia at a hospital. All treatment is completed painlessly in one visit! Children do not remember their visit and leave happily soon after their appointment! Dr. Collins is a dually board certified anesthesiologist and pediatric anesthesiologist. He graduated from the University of Connecticut with a degree in molecular and cellular biology. He received his medical degree from the University of New England College of Osteopathic Medicine and was president of his graduating class. He went on to specialize in anesthesiology and pediatric anesthesiology at Harvard Medical School and trained at Beth Israel Deaconess Medical Center and Boston Children’s Hospital. Dr. Collins is a published author of a number of scholarly articles on the care of pediatric surgical patients. He teaches at Harvard Medical School and is active in teaching clinical anesthesia and providing individualized educational sessions for residents from Massachusetts General Hospital, Beth Israel Deaconess Medical Center, and the University of New England in Maine where he has been the recipient of multiple teaching awards. He is a veteran of military service, having served in the United States Navy from 1987-1992. Dr. Collins has also participated in volunteer humanitarian efforts in Peru and Ecuador, providing surgery for children in those nations. Dr. Collins currently lives in Reading with his wife Cristina and three daughters. We love to keep in touch with our patients! Follow us and stay up-to-date with useful health & hygiene information.